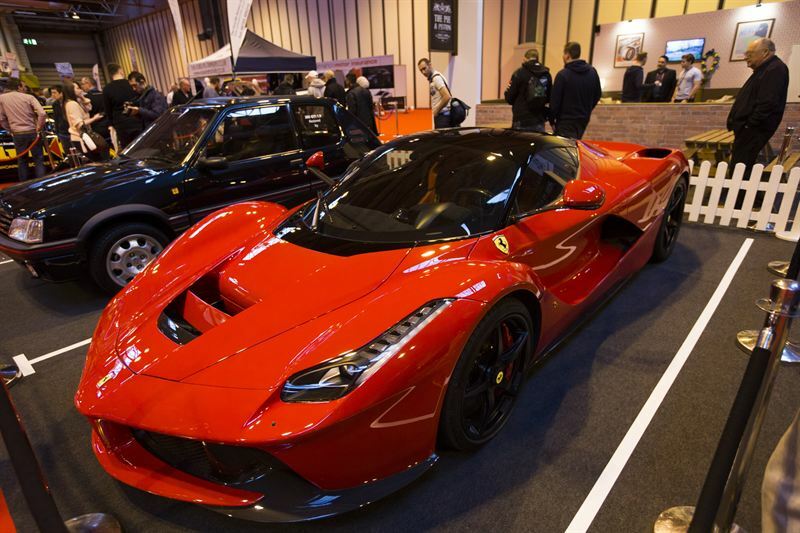 Enthusiasts from across the country came together at Birmingham’s NEC en masse to see amazing supercars from the likes of Ferrari, Lamborghini and McLaren and brand-new models during the sell-out Performance Car Show. Held alongside motorsport’s Autosport International, the annual, four-day event concluded on Sunday with attendance figures well above the 2014 crowd of 82,000. The visitors were treated to exclusive displays within the Performance Car Show presented by Landsail Tyres in association with Autocar and PistonHeads.com, with high-performance favourites also put through their paces in the 5,000-seat Live Action Area amphitheatre. Attracting plenty of admirers was the 950bhp LaFerrari parked outside the show’s new local, the Pie and Piston Pub by PistonHeads, accompanied by a Jaguar XFR-S, Dodge Viper and Peugeot 205 GTI. The Italian manufacturer also featured on the Autocar Supercar Display with the 458 Speciale appearing alongside the Lamborghini Huracán, BMW i8 and Vühl 05. Winner of Britain’s Best Driver’s Car 2014, the 458 Speciale led a field of finalists including the McLaren 650S, Porsche 911 GT3 and Ariel Atom 3.5R in Live Action Arena demonstrations. Following last week’s prestigious ceremony in London, attendees got the opportunity to see a selection of What Car? Car of the Year 2015 Award winners. Named Car of the Year, the Skoda Fabia 1.2 TSI 90 SE was on show, along with the Porsche Boxster 2.7 (Sports Car of the Year), Audi TT 2.0 TFSI Sport (Coupé of the Year), Ford Fiesta ST-2 (Hot Hatch of the Year) and the winner of the inaugural Car of the Year Safety Award, the Land Rover Discovery Sport. Also attending the show, Noble Automotive revealed a prototype of its open-top M600 supercar, poised to become ‘one of the fastest cabriolets in the world’. The British manufacturer’s first vehicle with a semi-automatic gearbox, the Speedster features the existing M600’s 650bhp, twin-turbo V8 engine. 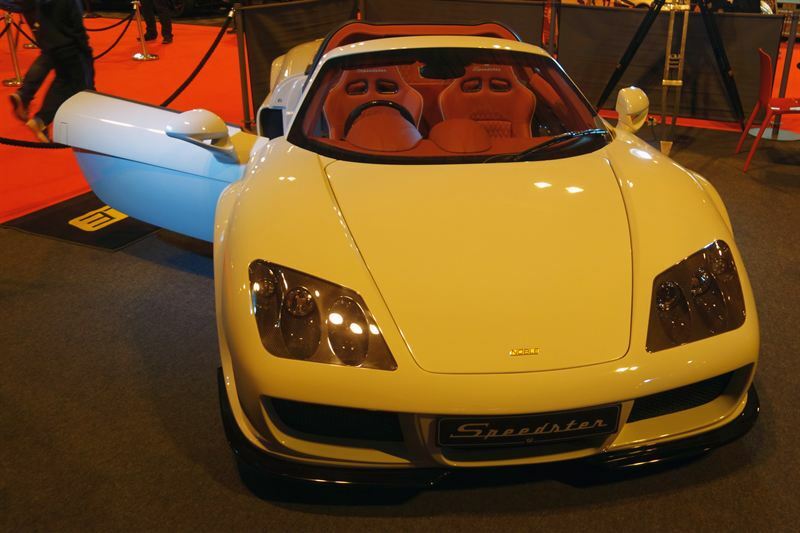 Zenos Cars returned to the NEC a year after making its public debut, unveiling the E10 S lightweight sports car. A 250bhp engine and windscreen have been added, with production to commence this month. 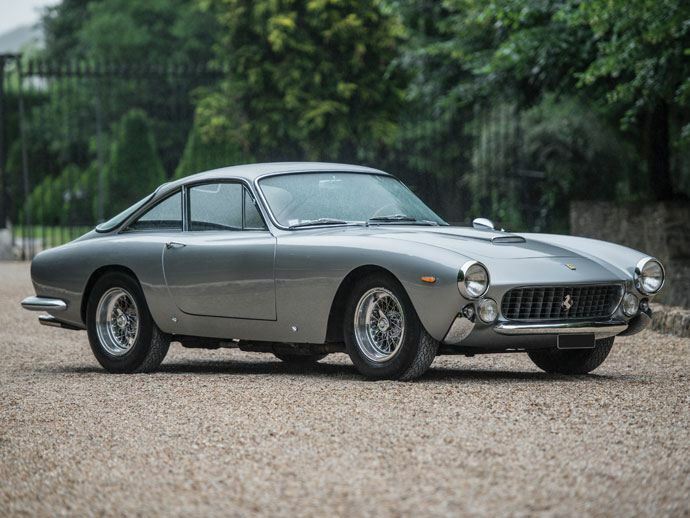 “It was fantastic to see so many people within the Performance Car Show, enjoying a vast selection of the best models from iconic brands such as Ferrari, Lamborghini and Porsche, car clubs and tuners,” Ian France, Performance Car Show Director, said. 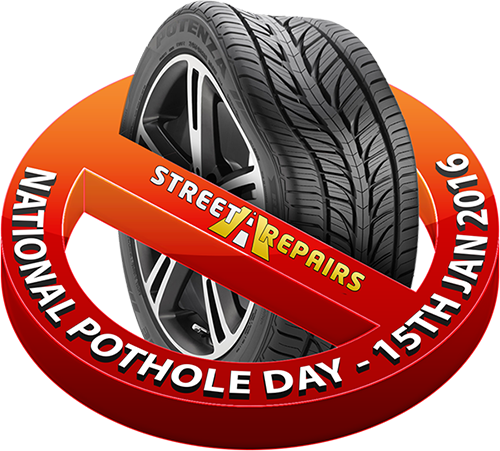 The 2016 Performance Car Show will be held on 14-17 January at Birmingham’s NEC. For further information, visit www.performancecarshow.com.